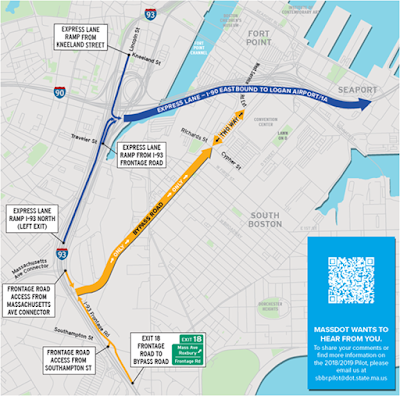 The Massachusetts Department of Transportation today announced that beginning Monday, October 15, 2018, all traffic will be able to use sections of the South Boston Bypass Road and a portion of the I-93 High Occupancy Vehicle (HOV lane) in South Boston at all times for a 12-month period. 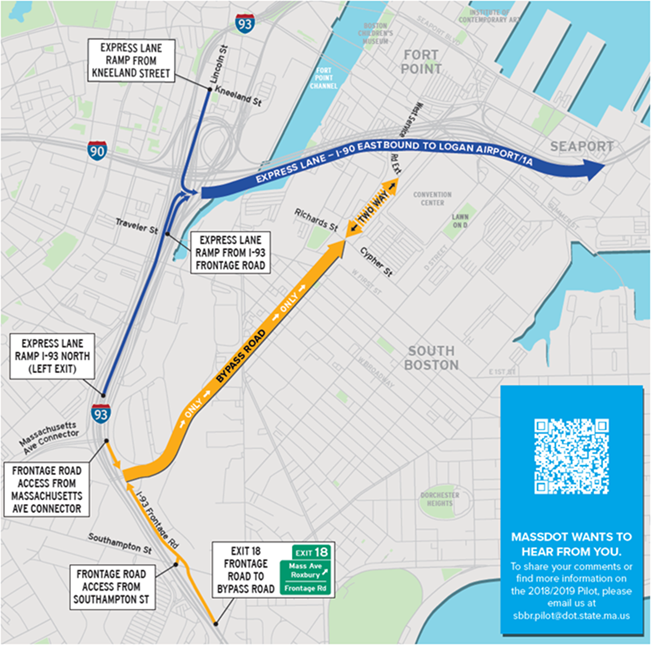 This pilot program will provide another route option for drivers traveling inbound to the South Boston area from I-93 northbound and members of the public are advised that the South Boston Bypass Road can be accessed via Exit 18 on I-93. This pilot program is being launched following approval by the Massachusetts Environment Policy Act (MEPA) office which issued an Advisory Opinion at the request of MassDOT. Contact Donny Dailey at MassDOT with any questions.